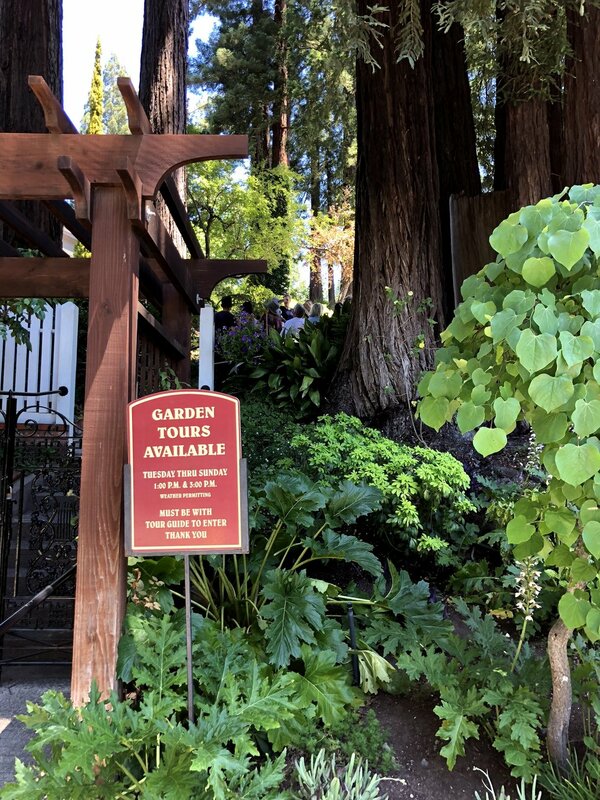 Located along the picturesque fir-covered hills just outside of Guerneville. 135 years of champagne making excellence. Iconic, Korbel’s first TV ad was on the Johnny Carson show. 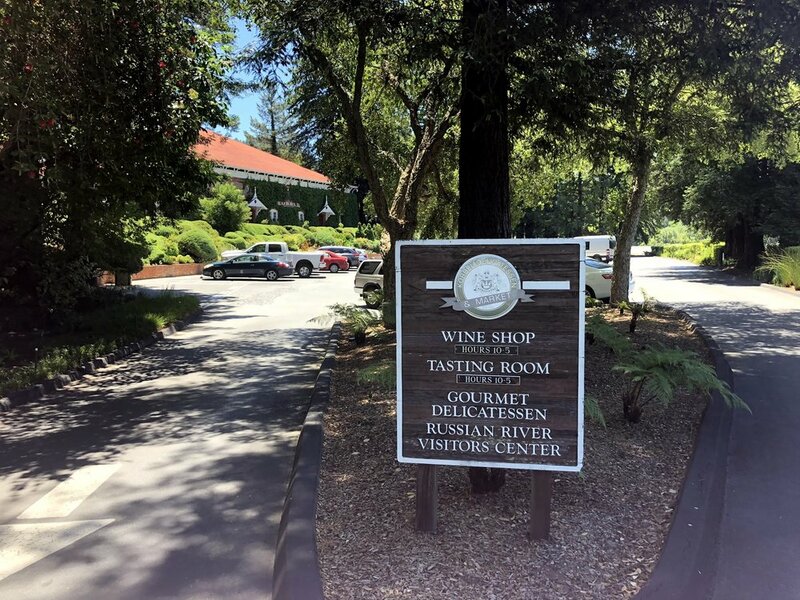 Open Daily for tasting 10:00-5:00. Pet friendly, must be leashed and remain in designated areas. Complimentary, a key word for Korbel. 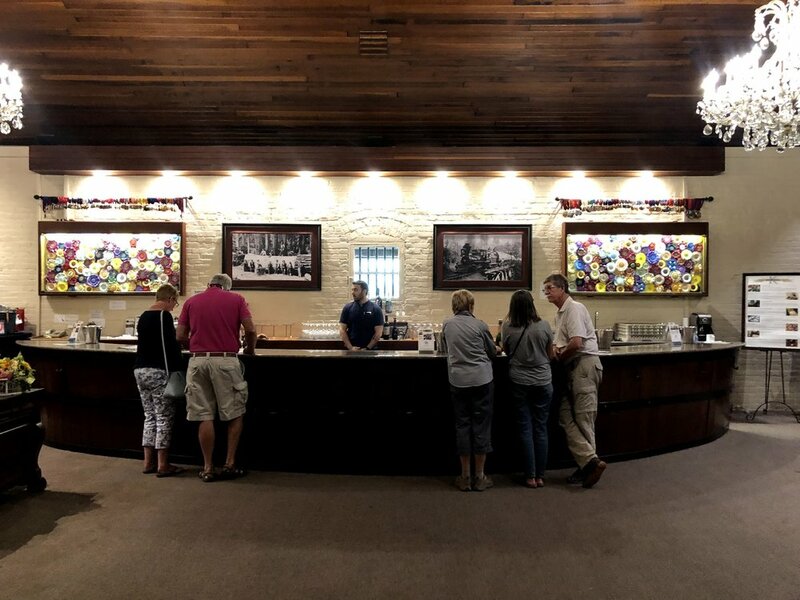 Free tours that end with a bubbly tasting. 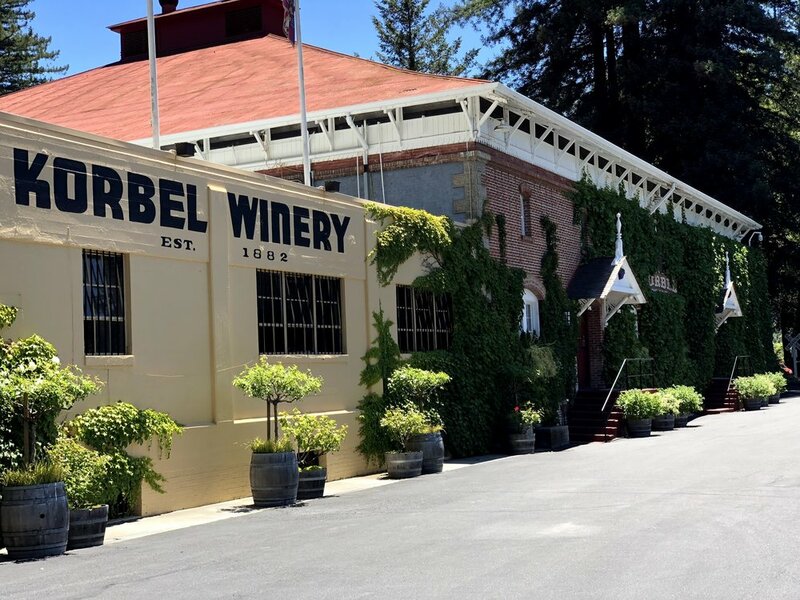 Korbel recently named Erica Mandi as senior winemaker. Mandi started as a lab tech at Korbel 20 years ago and worked her way up. Brut, California Champagne Chardonnay, Extra Dry Brut, Blanc de Noirs, Brut Rosé, Sweet Cuvé, Sweet Rosé, Sauv Blanc, Chardonnay, Pinot, Zin, Cab, Cream Sherry Port. 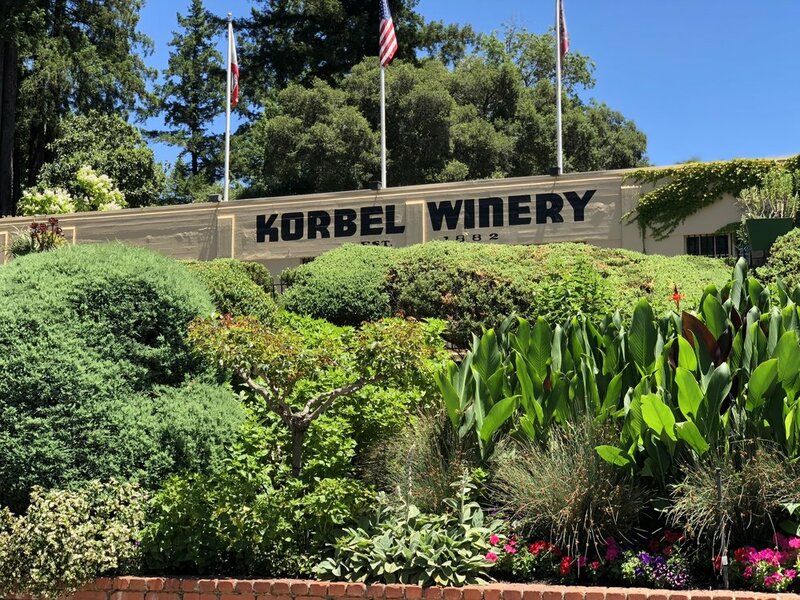 Korbel’s house style is fruit forward, fresh, crisp, clean, and approachable. Average price per bottle around $20. Million and ½ cases in yearly production. Korbel bubbly ferments in the bottle from which it is served. Methode Champenoise is the name of this unique fermenting method. Why is Korbel allowed to use Champagne for their wines? 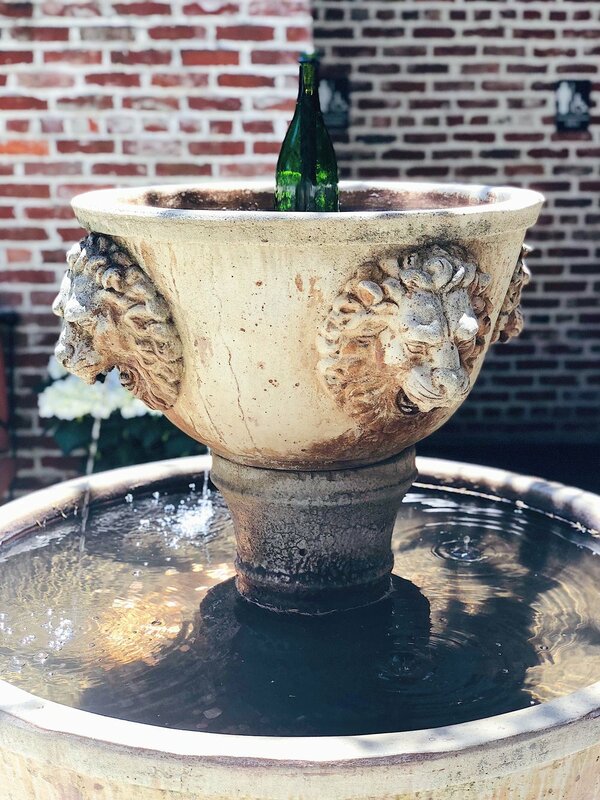 One of the original Korbel winemakers received wine certification/degree in the French Champagne region which, at the time, meant he could use the Champagne designate. I really want to come back and experience the raved about Garden Tour. Maybe in Fall when the ivy around the buildings changes color. I highly recommend visiting for lunch. 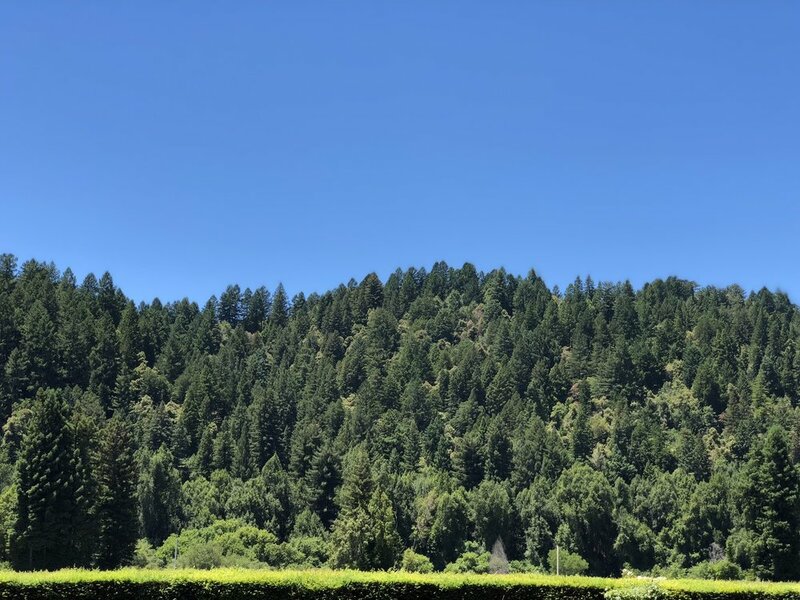 A client of mine is up the road in Guerneville. 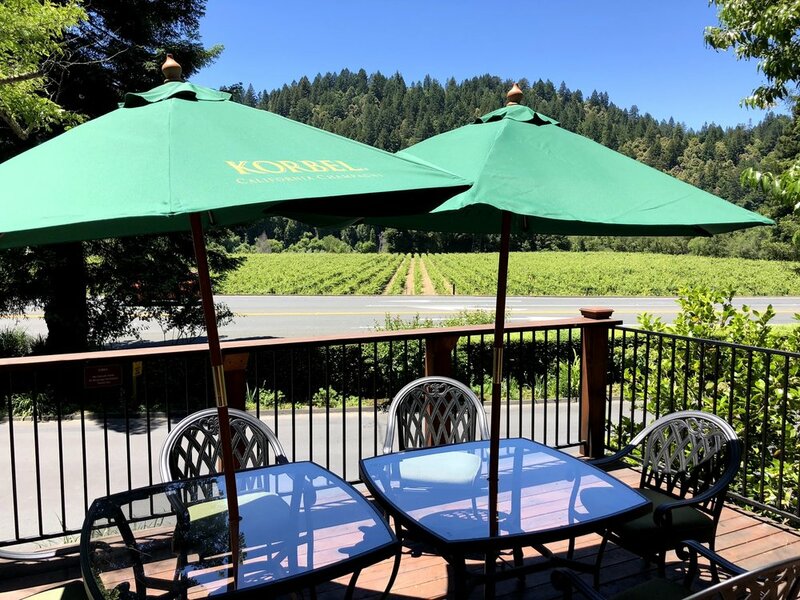 On days when he is my last client I stop at Korbel on the way home. 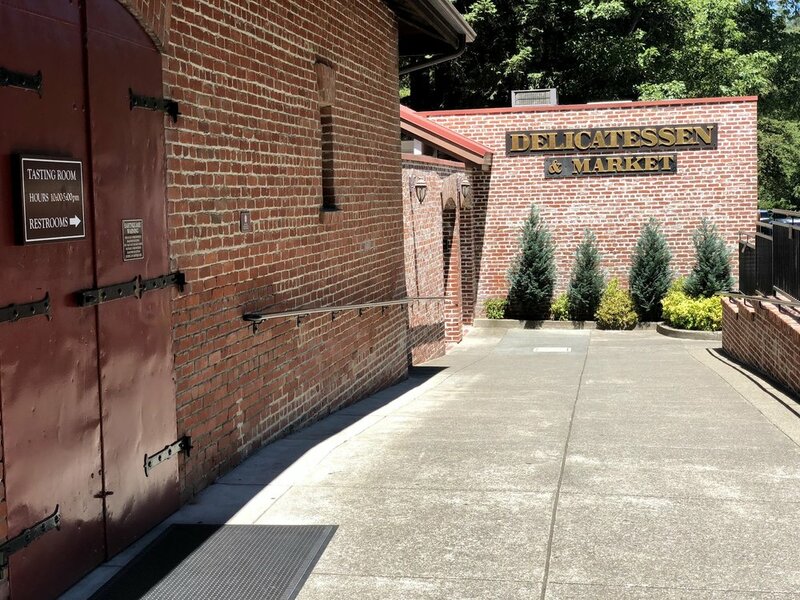 The deli is TWO THUMBS UP! 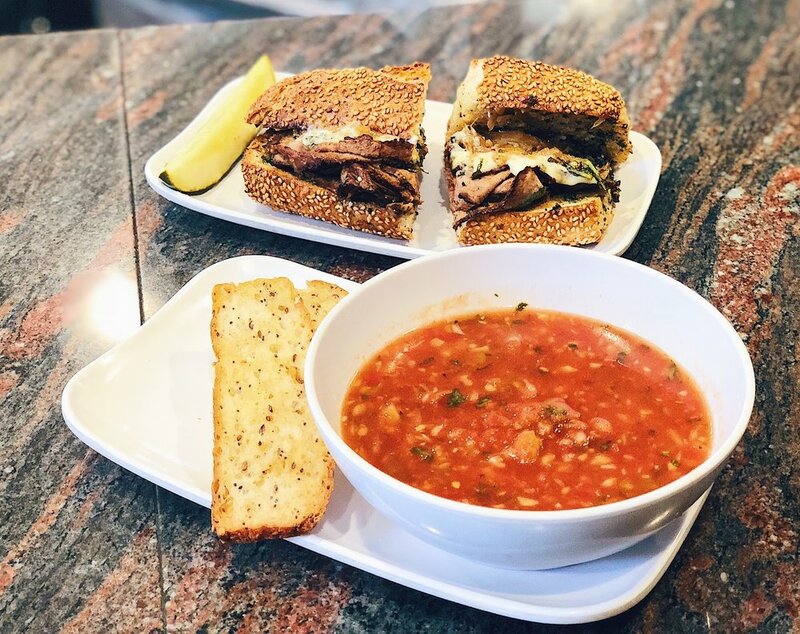 I ordered gazpacho and grilled beef tri-tip. I also snuck in two of the local chocolate truffles. A peanut butter and then a champagne truffle. I can’t rave enough about the deli. Gorgeous location amongst the redwood trees. Gourmet sandwiches, loads of ‘treat yourself’ dessert options, and relaxing scenery.